I have been interested in art for as long as I can remember, but it wasn't until attending Penn State University, that I realized how much art really is a part of who I am. I decided that I wanted to become an art teacher, and I received my B.S. in Art Education. 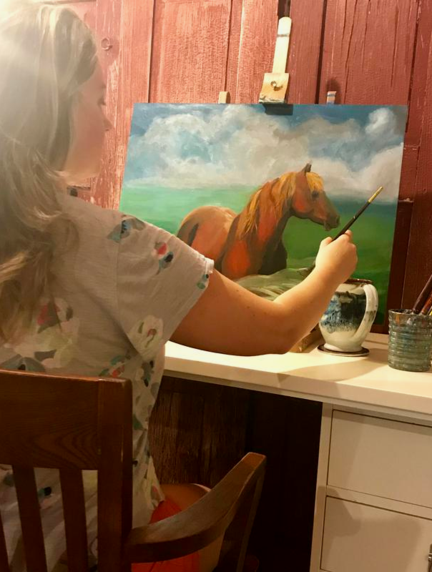 I have always loved animals and nature, and found a way to combine my passion for art and animals, by starting my business Art in Acrylics. I feel so blessed to be able to pursue my dream of being an artist through Art in Acrylics.